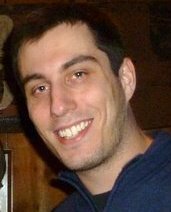 Daniel was born and raised in Stony Brook, NY and graduated from UB in 2006 with a bachelor’s degree in Cognitive Neuroscience and a minor in Linguistics. In 2007, Daniel entered the Interdisciplinary Graduate Program in Biomedical Science and joined the lab of Dr. Richard Salvi, director of the Center for Hearing & Deafness in Cary Hall. Over the past five years Daniel has been primarily interested in uncovering the neural correlates of tinnitus which is commonly characterized as “ringing in the ears.” In 2010, he was awarded a three year National Institutes of Health National Research Service Award (F31) fellowship to investigate the role of the primary auditory cortex in tinnitus generation using acute and chronic multichannel electrophysiological preps and novel operant conditioning behavioral assays in rodents. To date, Daniel has published three first author articles on mechanisms of tinnitus and has ten co-authorships on various topics in auditory neuroscience. From 2010 to 2011, Daniel served as president of the Neuroscience Graduate Student Association during which time he helped to organize the club’s first invited speaker which has become an annual event. Recently, Daniel accepted a post-doctoral position with Dr. Stephen Lomber at the University of Western Ontario where he will continue to investigate the consequences of hearing loss on neural activity in auditory and multisensory systems.